SPAIN’S right-wing government stands accused of persecuting probing journalists who disagree with its policies. A number of controversial sackings have occurred at state radio and TV broadcaster RTVE, who critics say were removed because they asked ‘difficult questions’. The latest casualty is Ana Pastor (right), presenter of TVE’s breakfast show Los Desayunos. “They’re getting rid of me for acting as a journalist,” 34-year-old Pastor declared. But the presenter herself claims she was not offered an alternative. It follows a string of sackings including head of news Fran Llorente. TVE was famously accused of bias by the PP in the months leading up to the April 2011 election. “I don’t think we are seeing the news impartiality one would expect from public TV,” said PP’s secretary general. It raises a number of questions about Spanish journalism, where interviews with politicians are walks in the park compared to the live public grillings on the BBC by David Dimbleby and Jeremy Paxman. “Politicians in Spain are not used to being contradicted, or even pressed to answer a question,” said journalist Miguel-Anxo Murado writing for the Guardian. “They expect the interviewer to nod sheepishly while they deliver their speech. It happens as well in different town halls in spain – like in Lanjaron where the mayor banned the local TV from oficial meetings, like counceller meetings. Now that’s really upset me, missing my daily dose of Ana Pastor. I remember seeing her interview Rafael Nadal & have never seen Nadal look so relaxed being interviewed. She really did her job well. How long before there are knocks on the door at four in the morning and people start disappearing. If Spain gets a bail out from the Euro Zone it’s not just their economics they need to sort out as a condition of it. 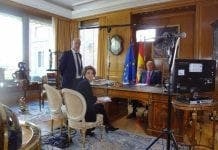 The sacking of this great journalist and interviewer has done Spain’s international democratic credentials more harm than they would have expected, especially after having had the “guts” to interview the Iranian leader in his home territory, which got her world wide acclamation and respect. She was as impartial as you can be with any politician, but there are some who can take it on the chin, and others who can’t and prefer to give an interrupted monologue rather than an interview. Seems those in the driving seat at the moment are of the latter kind. And she is not the only one that has had their contract suspended for suspect reasons. Censorship is big in Europe in general. For the most part, Europe is a beacon of liberty. Unless you say something religiously offensive. Or historically offensive. Or racist. Or that violates any other number of anti-Speech laws (often related to far-right or far-left politics, such as anarchists or neo-Nazis). 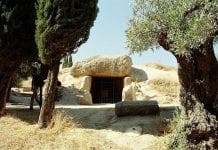 This is one of the few things that the USA has actually preserved to a greater degree than most of Europe. The sanctity of absolute freedom of speech. Of course, when it comes to the media it is a different story. The media is always an extension of politics. And it is always under pressure from the leading party and the opposition to censor itself. Nothing new here. Beenmissing Anas precence and assumed she was on holiday. Shame on the faceless ones who have carried out this apalling act. Spain needs to wake up and smell the coffee. This ranks along side defrauding expats by deeming their property ;illegal; and or demolishing their home. The moderator of Al Rojo Vivo has suffered the same fate, I am sorry to say. Even Telecinco are not using some of the usual more leftist contributors in their late night debates. It is a real shame because you got a balanced view when discussing topics. The independence of the press should be sacred. Wasn’t the mainstream media (I dislike this cliche term, but unfortunately there is no other way to put it) always the propaganda outlet of the political party(s) running things? We’re actually very fortunate. In the last 15-20 years we’ve got more information at our fingertips (the Internet) than anyone in human history. Get a feed reader and add 30-40 newspapers/blogs/magazines online and use that to keep up on world events. Throw the TV out. You mean there is now more misinformation and inaccurate information at our fingertips. Why add more reality? Oh look we can agree on something. You’re right as well. With all of the misinformation (in the mainstream media and on the Internet) it can be difficult to get real facts. The best we can do is read what we have and try to draw some conclusions (while still keeping up heavy doses of skepticism and critical thought). Hey, if we both agree on something maybe this is a sign. Peace in the Middle East. Dogs and cats living together in harmony. Return of preferred religious figure. A regrettable absence indeed and a worrying indication of what seems to be an growing trend. But it’s not new nor is it exclusive to RTVE. Antena 3 ‘Tengo una pregunta para usted’ programmes of old descended into more of a comedy act with questions that were so obviously pre-set, pre-agreed with answers carefully pre-rehearsed. And as for the A3 Barbie doll that interviewed Rajoy and Rubalcaba prior to the election, it was worthy of a Gervais script. In not one of the programmes did anyone (including the Barbie doll) have the opportunity to challenge the politicians over land grabbing, (alleged) mayoral corruption, indiscriminate demolitions and fiscal incompetence within the ayuntamientos. The arrival of any Iberian ‘Jeremy Paxman’ would send all the politicians scurrying off to learn how to emulate ‘Teflon’ Blair’s interviewee skills. Chelo Garcia Cortés revealing that she feels threatened possibly for the information in situ she has about the Juan Carlos-Barbara Rey affair and what has been paid out with public money to keep lips sealed…….